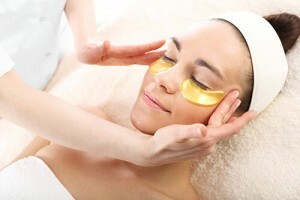 Revive your eyes with our range of eye enhancing treatments. 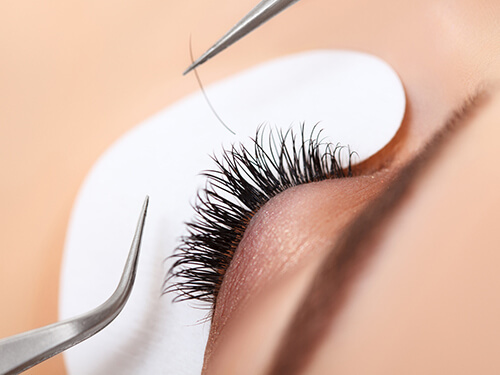 Curl, colour and glamourise your lashes with a range of wonderful enhancement options, which include tinting, perming, eyelash extensions and special occasion strip lashes. A cooling and soothing treatment for clients who are concerned with puffiness, lines & wrinkles around the eyes. This treatment uses a combination of gentle exfoliation around the eye area, followed by an iced cold soothing massage using concentrated serums to stimulate collagen production & a plumping eye mask that delivers highly effective hydration to the eye area. Suitable for all skin types and is a great add on to any facial service. Add some glamour to your look and give the eyes an instant make over. 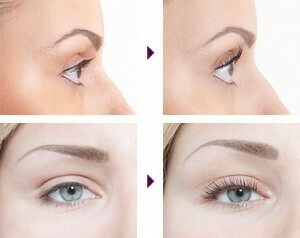 With Bella Pelle Lash Extensions, you will roll out of bed looking great! These semi-permanent eyelashes are placed individually on to your natural eyelashes to create more length and volume therefore giving you eyes that look younger, larger, more refreshed and absolutely glamorous!! Eyelash extensions look and feel natural, are smudge-proof and waterproof, and allow your lashes to look their best at all times, without any mascara needed. closed. Please do not attempt to remove your own lashes at home. 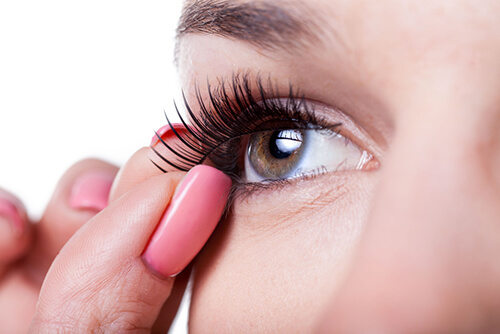 You may risk temporarily or permanently damaging your lashes or hair follicles. Eyelash tinting is a great alternative for clients sensitive to make-up or people who have no time to apply make-up daily. Its a great ‘pre-holiday’ procedure so you don’t have to apply Mascara every day. 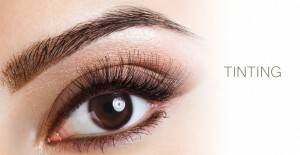 The process involves us dying or colouring the eyelashes to a darker colour than your own natural shade. The darkest and preferred lash colour is blue-black due to its intensity. A weft of lashes placed onto the lash line to give the lashes a fuller, more defined look. These type of lashes are a 1-3 day lasting application only for special occasions. Give your natural eyelashes an instant root lift . Using silicone moulds or rods we are able to lengthen and curl lashes to perfection. This amazing eyelash treatment defines and curls lashes in one relaxing treatment creating the lashes to literally sit upwards towards the brow line. Its a fantastic treatment for clients who don’t like the high-maintenance and up keep of lash extensions but who still want lashes that look beautifully long and have defined curled lashes. The treatment takes about 60 minutes.